I've been so so so busy with my family... you see, yours truly have given birth to her 5th kiddo (recently turned 4 months old!) and I'm now slowly getting back into the swing of my old self so for my regular fans who have not been reading much updates on my blog here, do check out my Facebook page as I'm still very much active there as it is easier to just share interesting articles on FB. Every now and then I do order take-away foods especially when I'm just too overwhelmed and caught up with my work as I need to help hubby in the administration side of the business since Nov 2018 when our admin staff broke her arm and is currently on long medical leave. Anyway, I was really surprised when we received free books in our Happy Meal order early this year. Turns out McDonald’s is using its Scale for Good approach to instil a passion for reading and to provide a moment of closeness for families. How nice is that?! 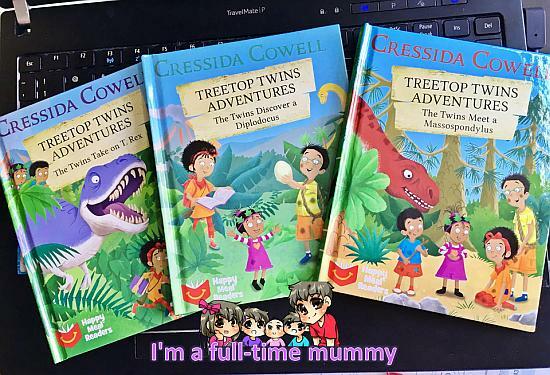 I think this idea is so cool and beneficial and I'm very happy to know the books we got for free was authored by Cressida Cowell, who is well known for her bestselling ‘How to Train Your Dragon’ books. As we live in Malaysia, I think it is cool to know that the books are available in both English and Bahasa Malaysia which caters specifically for the Malaysian market. 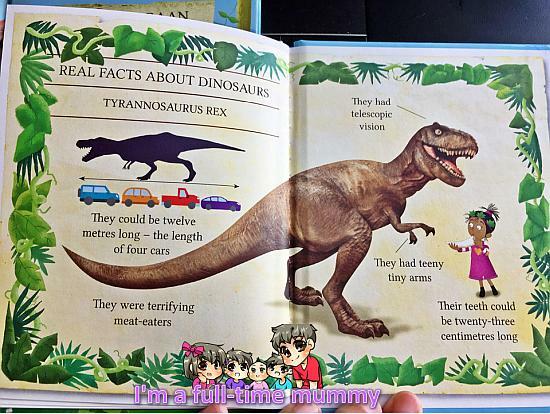 I like that each book comes with a fun fact page about the dinosaur featured in the book. For those tech-savvy parents, there are also digital versions of the books which you can find through the Happy Studio app that can be downloaded on both the Google Play Store and Apple Store. My 2 older kiddos (between 7 to 10 years old) seems to prefer the app and enjoyed playing the games and activities in the app. I believe that reading changes my children's lives positively, that knowledge is key and never harm anyone if we read up more and know more. Every time I stumbled into books that are age-appropriate for my kiddos, I snapped them up and am very encouraged to see my kiddos getting all excited to read the new books in our collection. If the books are a bit advanced for any of my kiddo, I will either read together with them or read aloud before their bedtime. That way, they get to hear the right pronunciation and the way sentences sound as we read along. "When parents read to their children the difference shows in children's behaviour and academic performance. And according to a new study, the difference also shows in their brain activity. The researchers saw that, when the young children were being told a story, a number of regions in the left part of the brain became active. These are the areas involved in understanding the meaning of words and concepts and also in memory. These same brain regions have been found to be active when older children listen to stories or read. The brain develops rapidly from zero to six years of age, and the more exposure, the more you enrich and nurture these brain networks that are related to social and academic ability, the more the kid will gain the future." There are benefits of parents reading to their children beyond the child's performance, too. "It's one of the most pleasurable activities that you do with your child -- there's physical closeness but it's probably the most unhurried time that children have with their parent and it is focused on them." Reading helps in spelling, grammar and pronunciation, the benefits multiplied many times more if we as parents are there to guide our children as they read along. Even our 4th kiddo learns by observing his elder brother and sisters reading most of the time and tried to emulate them as well. 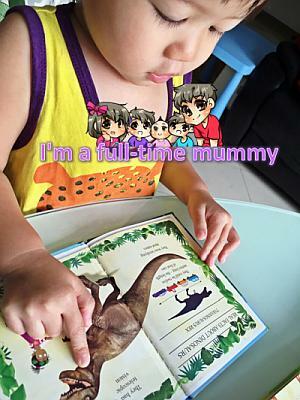 Although he is just 2 years old, that does not mean we should stop him from reading. At this age, what I usually do is teach him about colours, shapes, naming of objects, anything interesting for his age right now. It is up to our creativity to know how to make use of the reading materials in our kiddos' lives. ** Note: I have disabled the commenting feature on my blog engine thanks to all the spammers who happily spam my blog every day. If you wish to ask me any questions, you can find me at my Facebook page (I'm there almost every day) or just drop me an email if you wish to maintain some anonymity. Product Review - American Reading at HomeSharing our review on American Reading at Home website and their awesome books!Book Review - Reading Success for Minecrafters: Grades 3-4Sharing my review of the Reading Success for Minecrafters: Grades 3-4 bookiPad App Review - Fall ChangesSharing our review of "Fall Changes" iPad app!